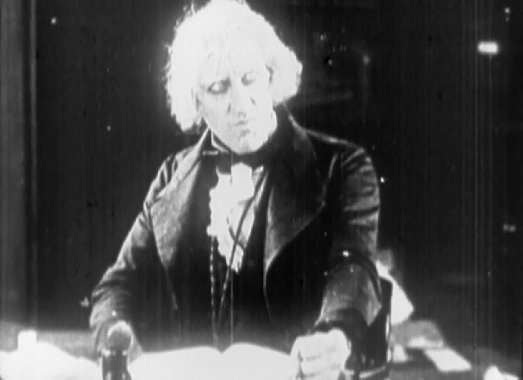 When I started Scrooge Month I knew I would have to do the Alistair Sim, Muppets, Mickey’s and Scotts and I looked forward to them, but I also wanted to dig deeper and find more obscure versions of Christmas Carol. Today’s entry probably takes the cake in that department. 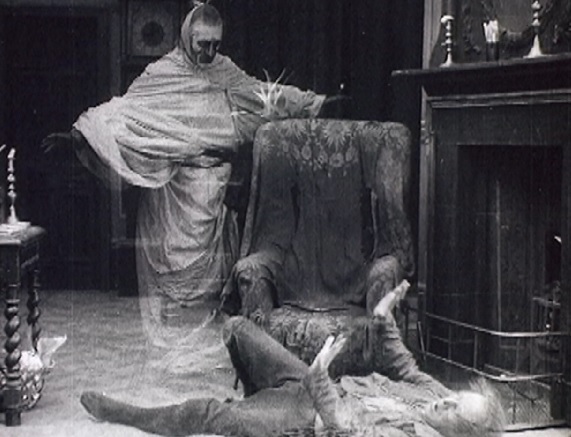 I was able to dig up 2 silent movie versions of Christmas Carol and they were both fascinating. 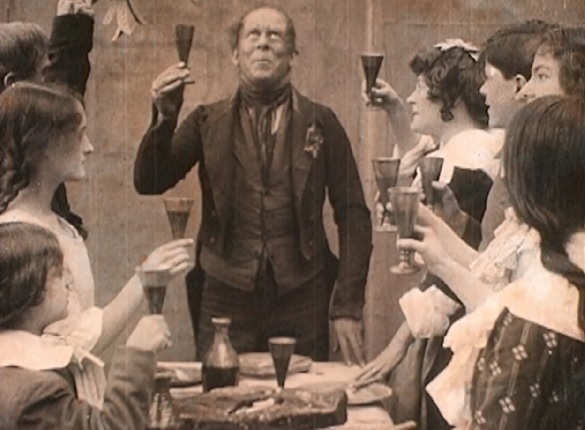 I make no claim to being a silent movie aficionado so I can’t really judge the movies for quality as I’ve seen probably 5 in my life. If you live in Utah we do have an awesome movie-going experience in Salt Lake with an original Giant Wurlitzer Theatre Pipe Organ at Edison Street Events. I have been there twice, once to see The Kid, and then Phantom of the Opera and the silent movie with the organ the surrounds the entire room is amazing. And it costs $6! I wish sometime they would do these Christmas Carol versions there because the new recorded music on the DVD I had were weak at best. 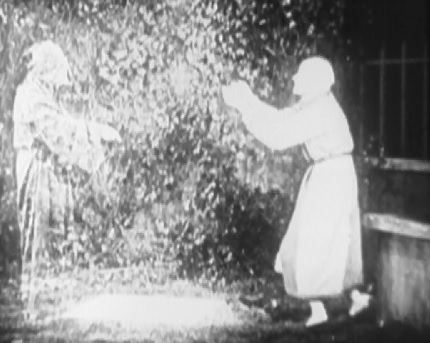 In the second film I muted the sound and just watched (something that is a unique feature of silent movies I suppose!). 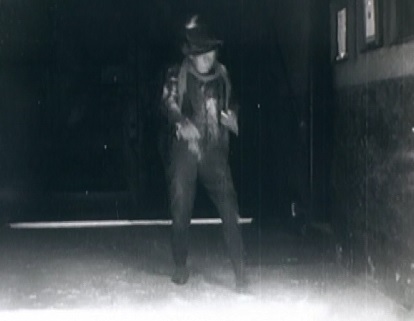 The first version is from 1923 and it is only 23 minutes long. The quality is not great but I suppose it is all part of the charm. It only lists 4 people in the cast although more than that appear. Scrooge is played by Russell Thorndike and Forbes Dawson plays Marley. To show how mean Scrooge is they do something you’d never see in a million years in movies today (rightfully so) Scrooge wallops the kid singing Christmas carols outside his office with a heavy book. The Marley looks pretty good considering the quality of the rest of the movie. Instead of taking Scrooge to see his past, present, future it is projected onto the wall (both films). We do not look in on Cratchit family but only briefly at Fred, Mrs Fred and Mrs Fred’s Sister. What’s interesting is that Scrooge is already pleading with Present for redemption, just when Present announces he will visit Cratchit and Fred tomorrow. Evidently the thought of Present visiting is enough to scare Scrooge! We do get a brief visit from Future. 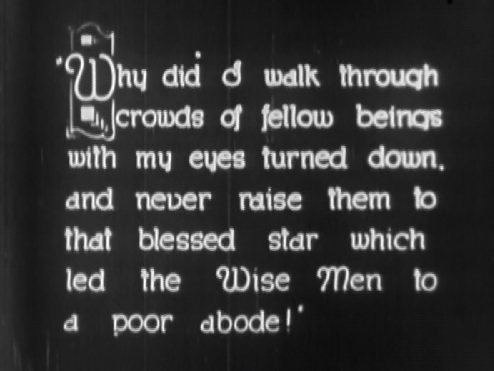 It’s just so different it’s hard to really judge it as bad or good, and I don’t know enough about silent films to judge it for its day. It was fascinating to watch; however, and I enjoyed it. Hopefully you enjoyed getting a little taste of it. This version is a longer 46 minutes but it makes some choices that are so different from what we are used to in modern versions. It stars Seymour Hicks who I will review again in the 1935 talkie version. 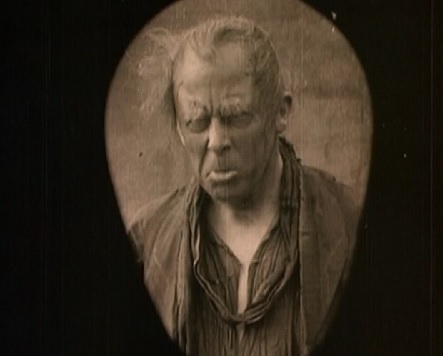 He is good but it is clear this era saw Scrooge as a Frankenstein character. He is even called an ogre in the title cards. He dresses like a bum which I have never seen in a version. It’s so strange because he’s still rich and a businessman but he dresses like a tramp? Maybe some of you know more about this era and can elaborate as to why this might be? 1913 was well before a depression era America so that’s not it. Scrooge also refuses an actual poor person and the benefactors which I have never seen before. 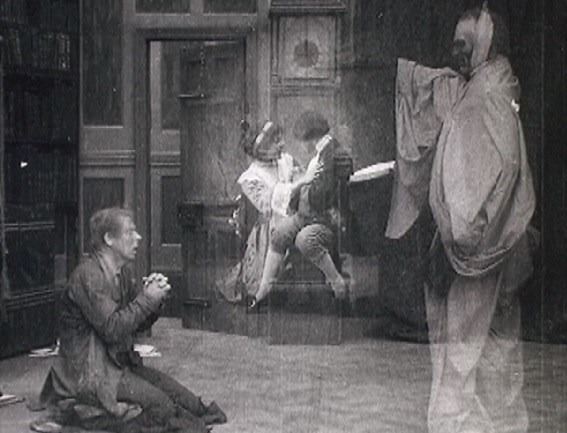 It is also the only version I have seen where the office and house are in the same room and where Jacob Marley plays the part of all 3 ghosts. We get the projections on the wall like we did in the previous picture but this time we see a few more scenes (and no strange proposal). He comes to a pretty speedy penitence in this one as well and then it is the strangest thing. 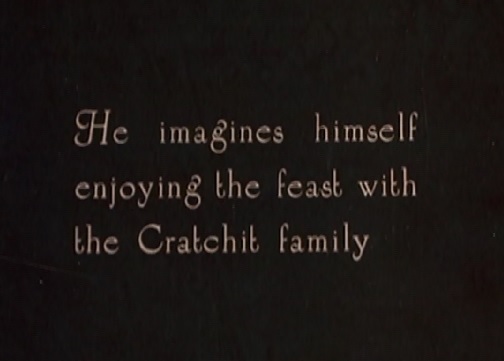 Instead of going to Cratchit’s or Fred’s he imagines it. It’s like he is still the monster and can’t really celebrate with the people. And that’s the end of the movie with his imaginary feasting. I would say these films are more of a fascination than anything else. 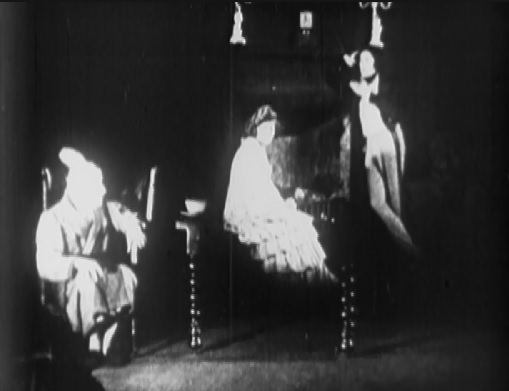 The choices they make, the way films worked, the silent movie acting are all very interesting. If you aren’t a film buff than probably not for you. They aren’t like Buster Keaton or Charlie Chaplin which will entertain in any era. Definitely more challenging but I’m glad I saw them and if you can hunt them down give them a watch! < Merry Christmas from Me! 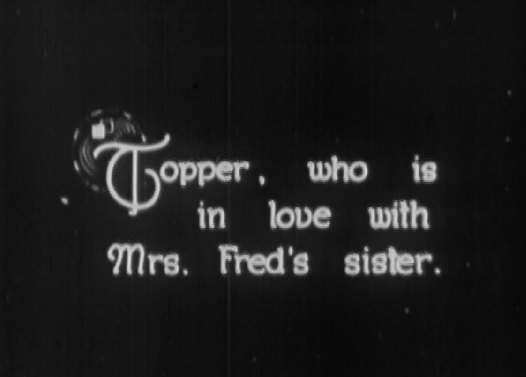 I always find it difficult to judge those old movies. 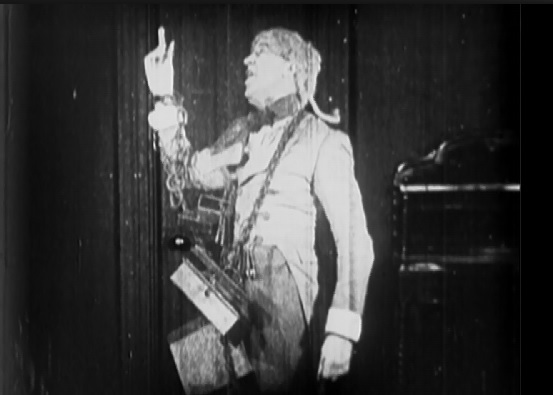 The problem is that “silent movies” never really were silent (nor were “black and White” movies really black and white, they were often tinted). They always involved an orchestra playing in the theatres. It is just way too hard to find those old movies nowadays complete, in the right colours and with the right music. That’s why I usually stick to those movies of which I know that they were restored as good as possible. 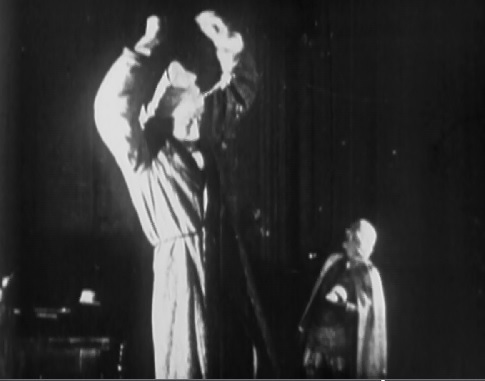 (It is really lucky for me that “The Adventure of Prince Achmed” got such a restoration). That’s true. It wouldn’t be my normal viewing but I enjoyed doing something different. Oh, there are some really, really good old movies, if you see them in the right context. Ideally you watch them with a small orchestra in the theatre. I wish that were possible more often. It’s another kind of experience (and even if the movie is not that good, at the very least you get a decent concert). Pingback: Scrooge 28: Scrooge (Seymour Hicks 1935) | Reviewing All 54 Disney Animated Films And More!